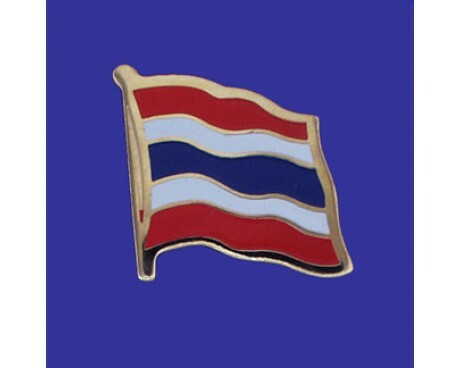 Modern Thailand flags display five horizontal stripes of red, white, and blue, with the central blue stripe being twice as thick as the other four stripes. 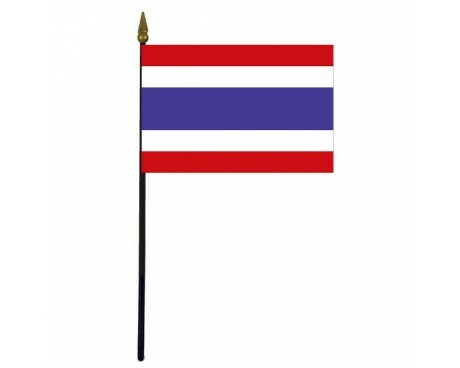 Thailand adopted its modern flag during September 1917 by royal decree of King Rama VI. 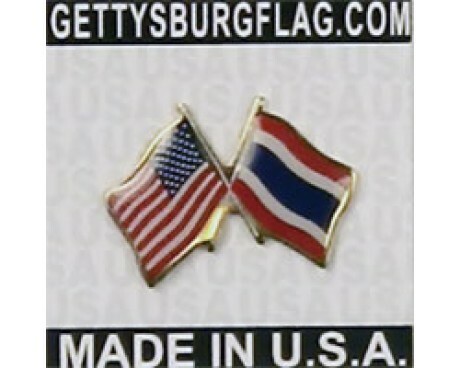 Each color of the flag represents a different aspect of Thailand and its culture. The red stripes at the top and bottom represent the nation's land and people, the white stripes represent the nation's religions, and the blue stripe stands for the country's king. The flag may also represent the nation's ties to several other nations when it was first adopted. King Rama VI had declared war on Germany just a few months before he chose the new flag, which made Thailand an ally of France, Britain, and the United States in the first world war. Thailand's new flag shared a color scheme with the flags of those nations, which may have been an attempt to show the new bond that held them together. 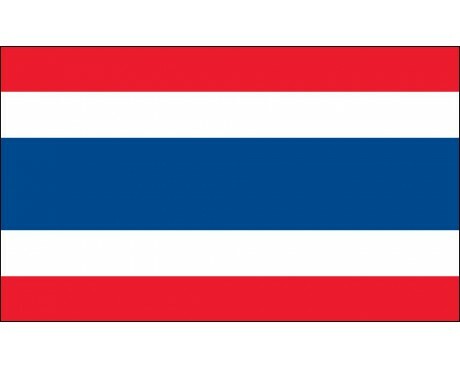 The oldest Thailand flags bear only the faintest resemblance to the modern flag. The first Thai flag was solid red and had no emblem. It was replaced approximately one century later with a red flag with a white chakra, which was followed several decades later by a version that added a white elephant to the chakra's center. The next design removed the chakra entirely and enlarged the white elephant, which had become a symbol of Thailand and its people. That flag was flown for approximately thirty years before it changed once again, this time to depict an elephant in elaborate regalia rather than the plain elephant that had been on previous flags. Thailand used that flag for only a few more decades before it was finally replaced with the modern flag.